While Listeria monocytogenes is not one of the most frequently occurring foodborne pathogens in the US, it is the third most deadly. Listeriosis, the infection caused by Listeria monocytogenes, primarily affects pregnant women and their newborns, adults over 65 and those with compromised immune systems – 90% of those who develop a severe Listeria infection fall into one of those groups. The severity of illnesses has focused US public health agency’s efforts to seek new and improved ways to identify outbreaks of Listeria and prevent additional illnesses. In August 2014, the Maryland Department of Health and Mental Hygiene (DHMH) identified five cases of invasive listeriosis in Maryland residents from the same county. Of these five cases, four were related to a pregnancy (two mother-newborn pairs). The other illness was in a newborn. Data uploaded to the PulseNet database showed that the bacteria causing the illnesses were indistinguishable by pulsed-field gel electrophoresis (PFGE), indicating they could be caused by the same source. Because CDC implemented whole genome sequencing (WGS) for real-time Listeria surveillance in 2013, these isolates were also sequenced. In keeping with the Listeria Initiative, a CDC program to aid in the investigation of listeriosis clusters and outbreaks by decreasing the time from outbreak detection to public health intervention, state epidemiologists promptly began conducting patient interviews. They used the standard case questionnaire, a valuable tool included as part of the Listeria Initiative, to gather detailed information about each case. Interviews showed some commonalities in the cases; notably, everyone was Hispanic. Hispanic women are 24 times more likely to get listeriosis than others. The questionnaire also included a checklist of foods that are frequent sources of Listeria, including a section on soft cheese, and more specifically, a section on Latin-style cheeses. Soft cheeses are a common source of Listeria, and pregnant women are advised not to consume them. 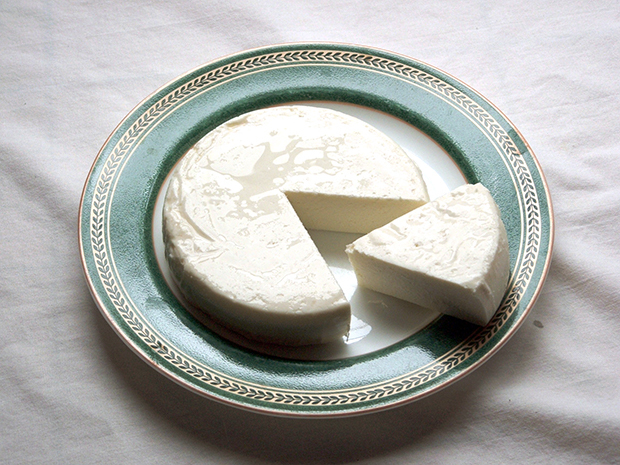 This includes cheeses such as queso fresco, queso blanco and queso cotija, which are commonly used in Latin American cooking. Of the five initial cases, one patient reported consuming Latin-style soft cheese from an unlicensed vendor cart outside of a local Latin grocery store. However, cheese subsequently collected from the vendor was negative for Listeria. Between October and December 2014, three additional cases were linked to the earlier cluster by PFGE in the PulseNet database. This prompted renewed concern that a product available by retail was contaminated and being broadly distributed. These patients were also all Hispanic. Two lived in the same Maryland county as the patients in the earlier cluster, one lived in California. Intensive follow-up interviews in Spanish established that all five Maryland adults shopped at a common Latin grocery store chain in Maryland and Virginia, and consumed soft cheeses purchased there prior to illness. The patient from California died before an exposure history could be obtained. The link between soft cheeses and a common grocery store chain prompted the Maryland Rapid Response Team to notify the Virginia Rapid Response Team of a potential food emergency. Established through a Food and Drug Administration (FDA) partnership, Rapid Response Teams (RRTs) are multi-agency, multi-disciplinary teams established to respond to food emergencies such as product tracebacks or recalls. Working together through the RRTs, the Virginia Department of Agriculture and Consumer Services and Maryland DHMH, in coordination with local health departments, collected retail samples of Latin-style soft cheeses from multiple retail chain locations. Samples promptly tested by Virginia’s Division of Consolidated Laboratory Services (DCLS) were determined to be positive for Listeria. PFGE analysis confirmed the recovered isolates matched the outbreak strain, and WGS analysis further confirmed the relatedness of the pathogens recovered from both cheese and specimens from listeriosis cases. It was also revealed that the cheeses were from a single Delaware-based manufacturer, but had been repackaged by the retailer. This led to additional testing by Virginia DCLS and Maryland DHMH lab scientists who found the outbreak strain in cheese packaged by the original manufacturer. As a result of the identification of the outbreak strain in retail samples, the states of Maryland and Virginia issued consumer warnings for consumption of these products. FDA, in coordination with the Delaware Department of Public Health, investigated the manufacturer. Samples taken by FDA also found the outbreak strain (matched by PFGE and WGS at FDA) on multiple surfaces within the manufacturer’s facility which prompted a voluntary recall by the manufacturer. While these findings supported previous PFGE results which linked this outbreak to the contaminated soft cheese, WGS was extremely valuable in confirming the inclusion of the California case. Thanks to strong partnerships between state public health laboratory scientists, food safety officials and epidemiologists, this outbreak response effort was quick and successful. Each discipline contributed critical information during the investigation which allowed for timely resolution of the outbreak and the recall of contaminated products.